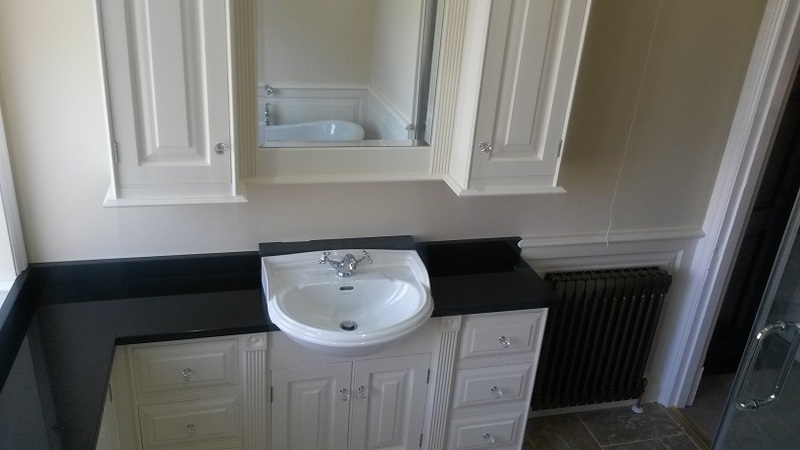 Another bathroom renovation that involved completely rebuilding the room. 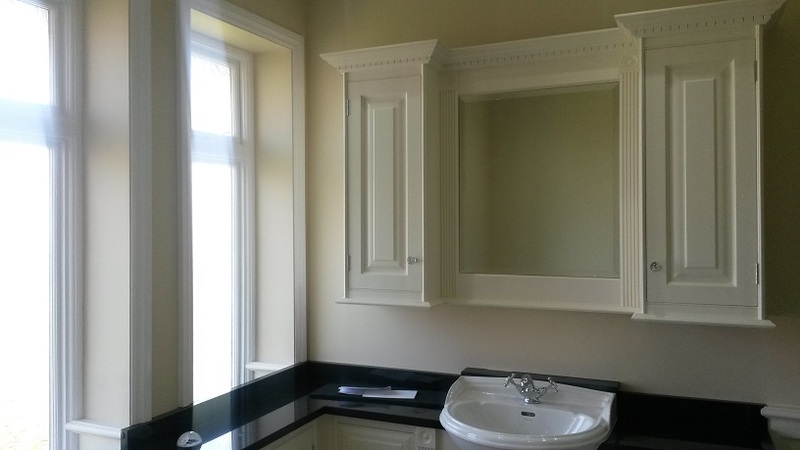 We re plastered all the walls, re boarded the ceiling and then plastered, added LED energy saving lighting and the essential inline extractor ceiling fan ventilation system. 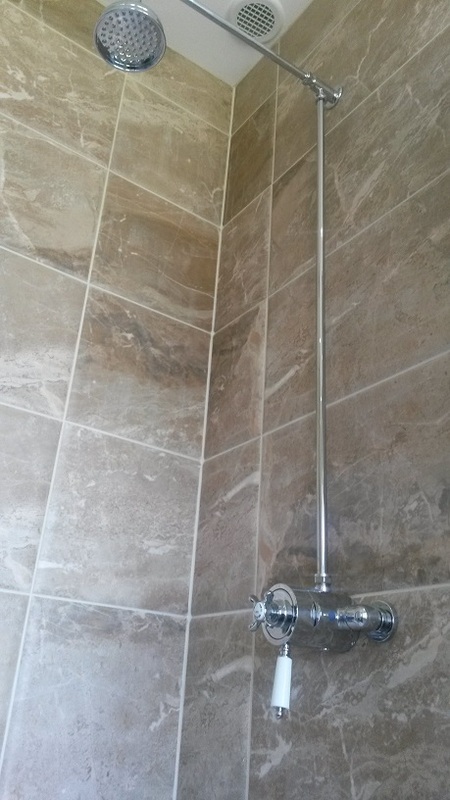 We ply line all our bathroom floors with 12 mm ply to ensure a flat, firm and solid floor ready for the floor tiles to be installed. 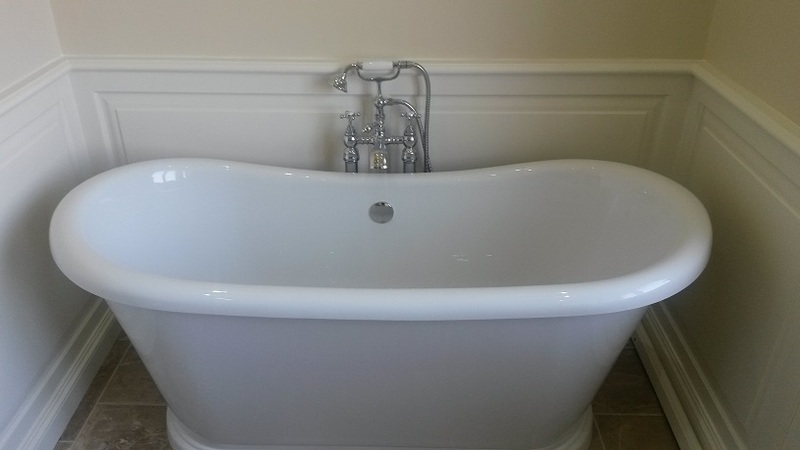 We decorated the finished walls that were not being tiled, with the clients chosen paint. 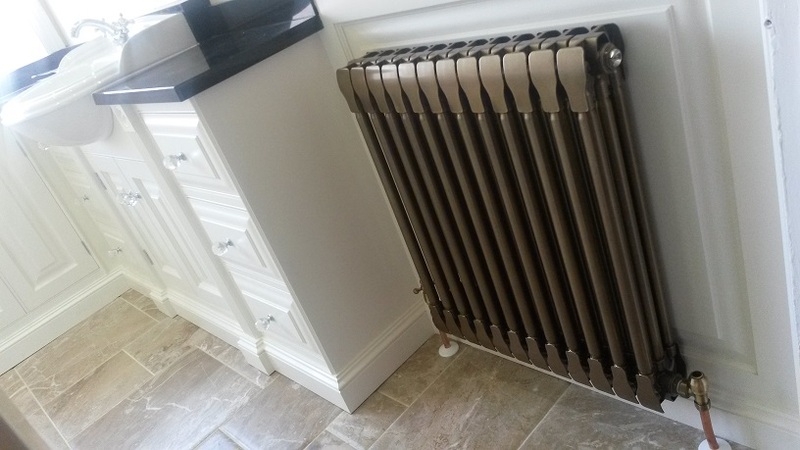 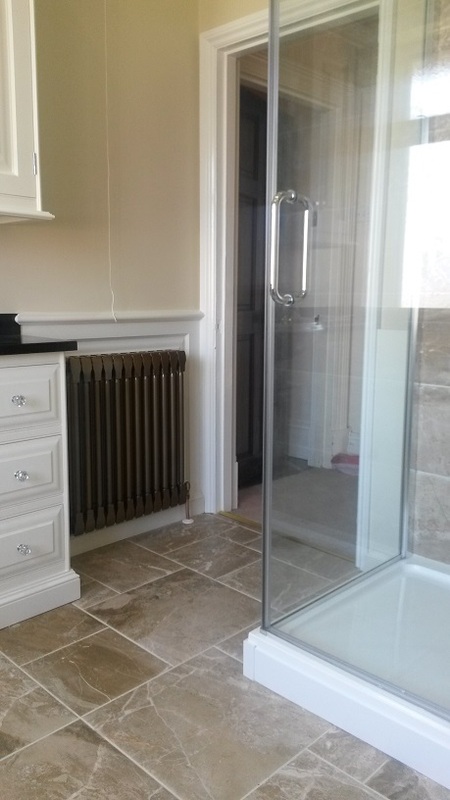 Our customer requested a radiator colour that incorporated the same colour that ran through the floor tiles. 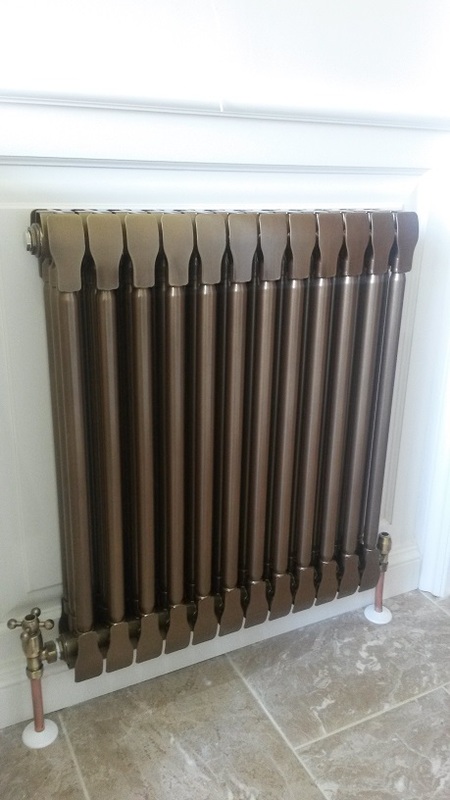 We achieved this by using our designer radiator manufacturer in Italy, who managed to match the colour, produce and ship to us with 7 days, much to delight of our client. 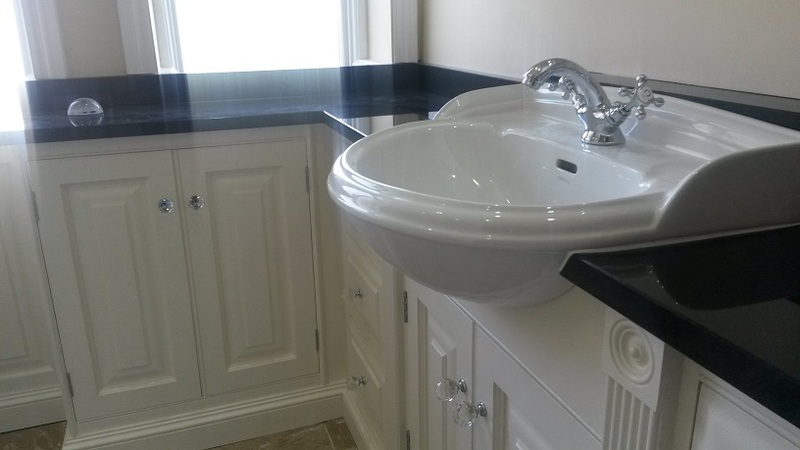 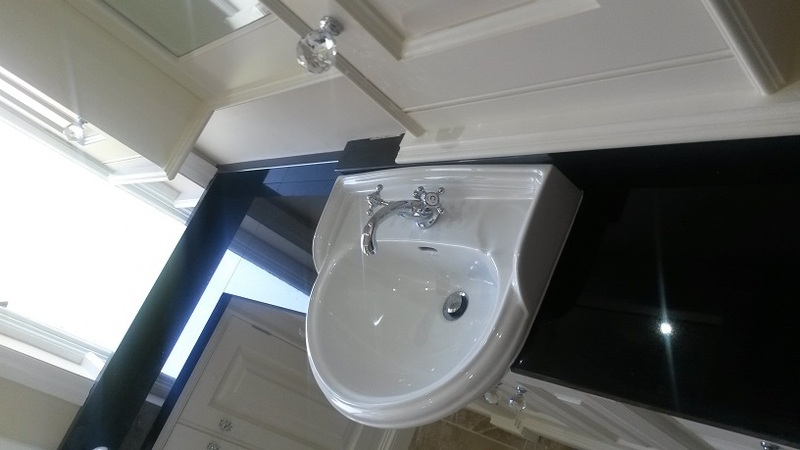 Bespoke units were installed and black granite was added to increase the bespoke look. 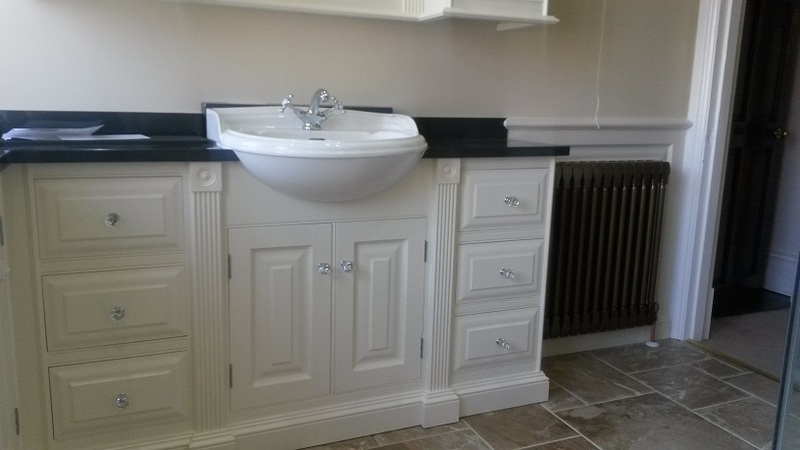 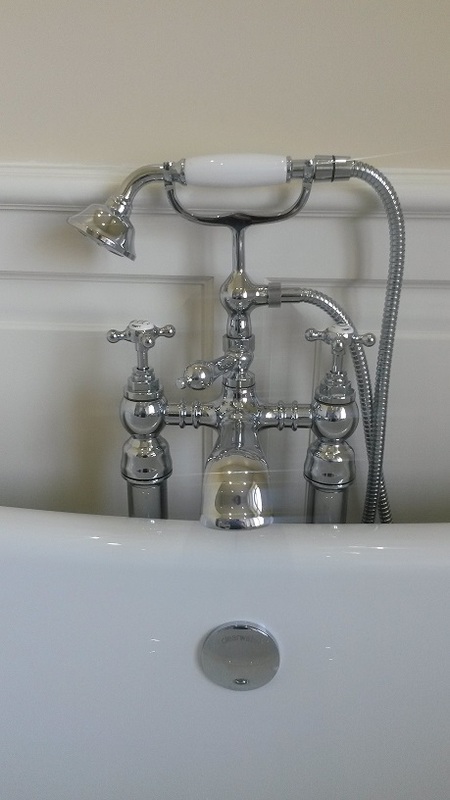 I think you agree that the finished look is extremely bespoke and our client is very pleased with the finished article, so much so we are now renovating the cloak room and second bathroom.